To Know Yourself: A Daylong Yoga Retreat and Benefit for Safe Haven Children’s Trust, Cambodia. Welcoming beginners and those with meditation and yoga experience in this daylong retreat in Brattleboro, Vermont. 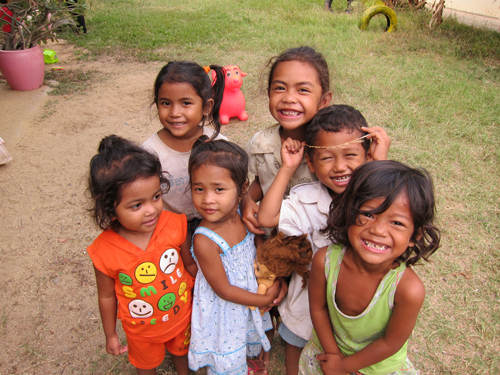 Click here to find out more about Safe Haven’s Children Trust, Cambodia. Find out more about the friendly and welcoming style of Hits the Spot Yoga. Click here to contact Director Scott Willis for more information. This entry was posted in Events, Retreats and tagged Brattleboro, Daylong Retreat, Vermont, Yoga Benefit, Yoga Retreat on May 5, 2016 by Kelly Salasin. What is Hits the Spot Yoga? "At the gentle urging of my wife, I attended one of Scott's yoga classes at Solar Hill Yoga. It was then, and continues to be every time I attend, a life altering experience. It helps me to be more at ease and at peace with both my body and my mind. Scott creates a community environment that is welcoming and supportive, safe and comfortable. I look forward to seeing my classmates as much as I look forward to having, as Scott says, "that hour and a quarter, that is yours and yours alone." "I have had the privilege of studying and practicing yoga with Scott Willis since 1992. Scott has dedicated his life to teaching and learning about yoga for many years. He is a gifted and respectful teacher, who is able to teach yoga to his many students who bring to yoga many varying skills, interests, and physical characteristics. Scott’s knowledge of yoga practice and philosophy is vast, and he is deeply committed to sharing it with others."